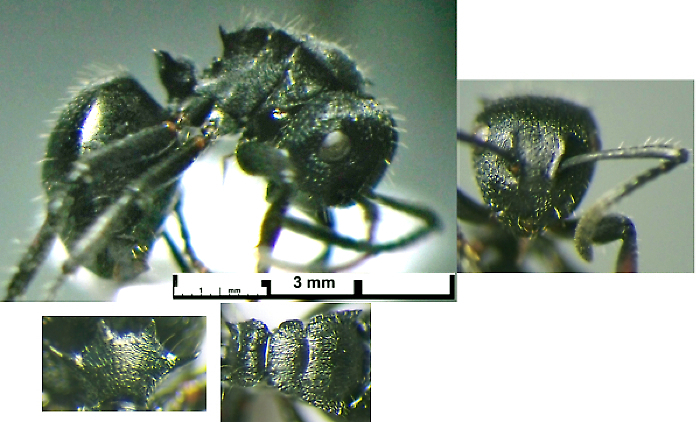 Diagnostic Features - Antennae 12-segmented, with the scapes inserted some distance behind the posterior clypeal margin. Eyes well developed. 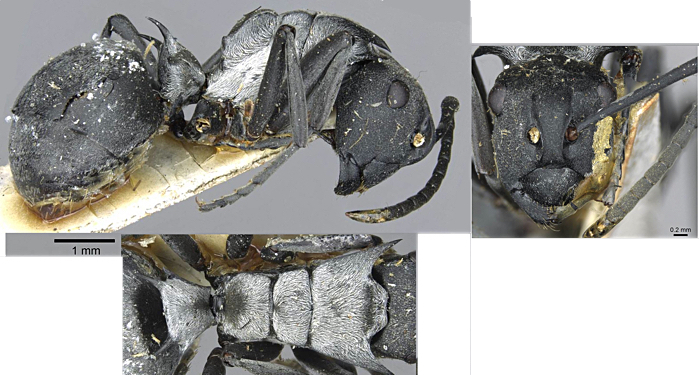 Mandibles usually with five, rarely four teeth. 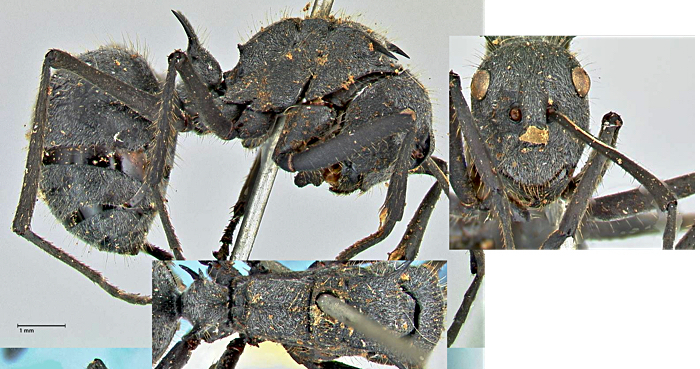 Pronotum armed with a pair of spines, teeth or tubercules; the propodeum usually similarly armed or with a pair of ridges, rarely with only a single transverse ridge or unarmed. Promesonotal suture usually present, development of the metanotal groove variable. Margination of the alitrunk variable, often present and complete but showing all stages through to a fully emarginate condition. Petiole usually with four but occasionally two or six spines or teeth of variable configuration. Acidopore not borne upon a conical projection of the hypopigium, usually concealed by the pygidium when not in use. Smith's (1857a) genus definition is at . 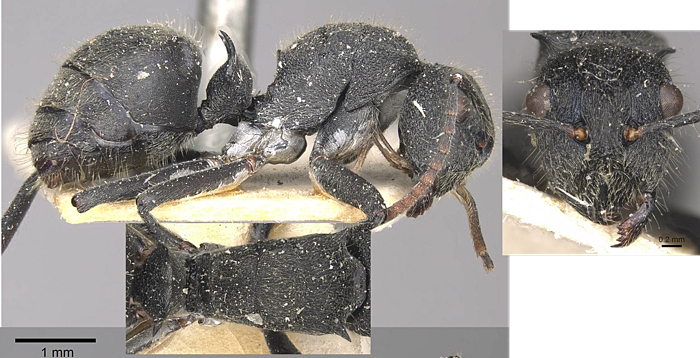 Fully revised by Bolton (1973b), all the species fall within the subgenus Myrma Billberg (1820: 104). This placement was supported by Dorow (1995a: 30). Bolton's full text can be found at - Bolton, B. 1973. 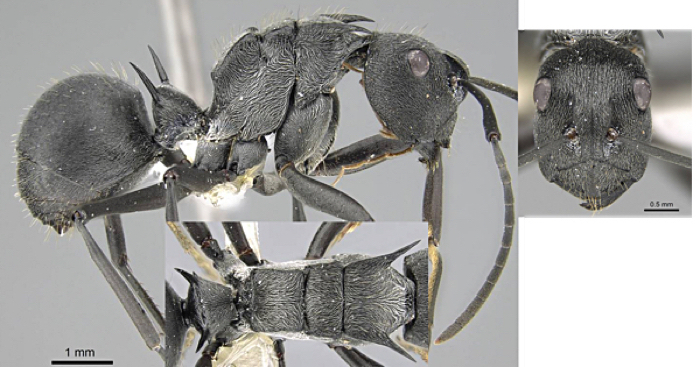 The ant genus Polyrhachis F. Smith in the Ethiopian region (Hymenoptera: Formicidae). Bull. Brit. Mus. (Nat. Hist.) Entomol. 28: 285-369. View or download entire file (6.8M) . 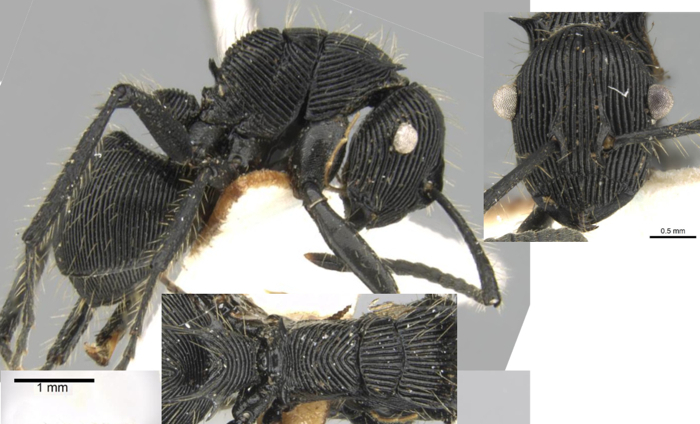 Santschi's (1939c) key to Pseudocrytomyrma species, termed by Bolton (1973b) as the revoili-complex, is at . 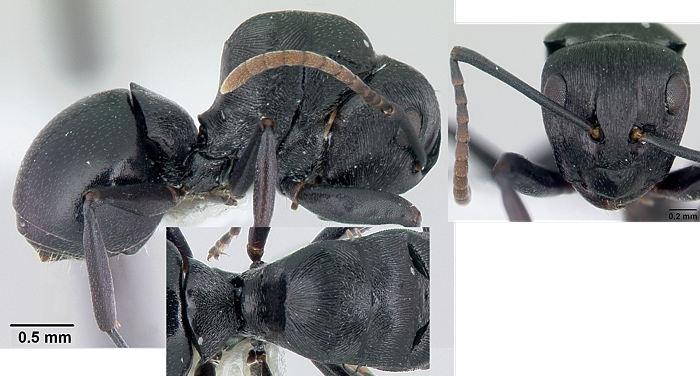 Radoskowsky (1881: 197) listed Polyrhachis setulosus F Smith from Angola, collected by Welwitsch. 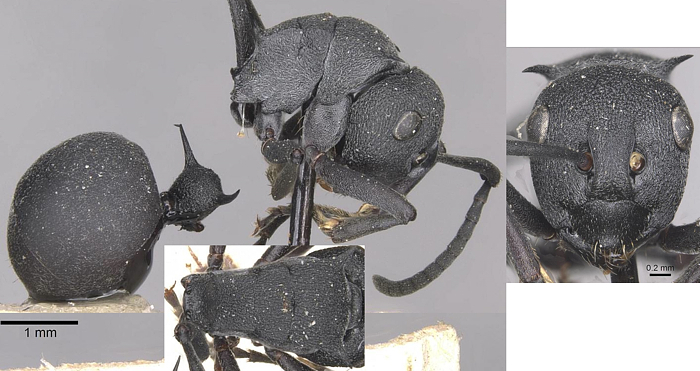 Bolton (1973: 352) reported neither he, nor, earlier, Wheeler (1922) could find any mention of this species in the Smith literature, let alone any description, so he regarded the name as a nomen nudum. 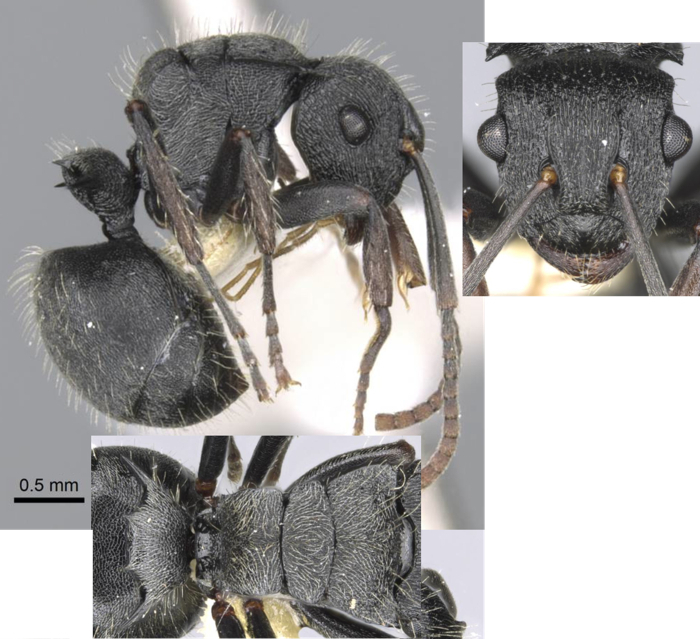 Bolton (1973a: 352) also noted that the F Smith (1858: 73) statement of Polyrhachis consimilis being from Sierra Leone was probably an error, as the only related species are known solely from the Indo-Australian Region. Rigato (2016) reviewed the extant situation and added several new species plus revised status species. He made no reference to this website or the records I have compiled. Even more curious, he listed only one finding of any species from Nigeria. 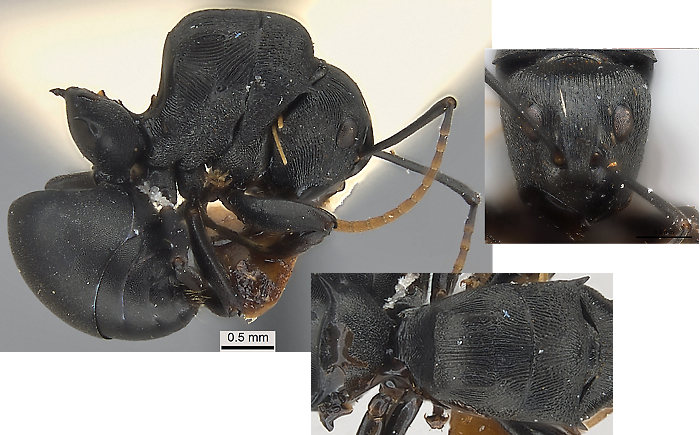 Yet on Antweb, for instance, the Polyrhachis phidias page has CASENT0906825 identified by B. Bolton and bearing my label! 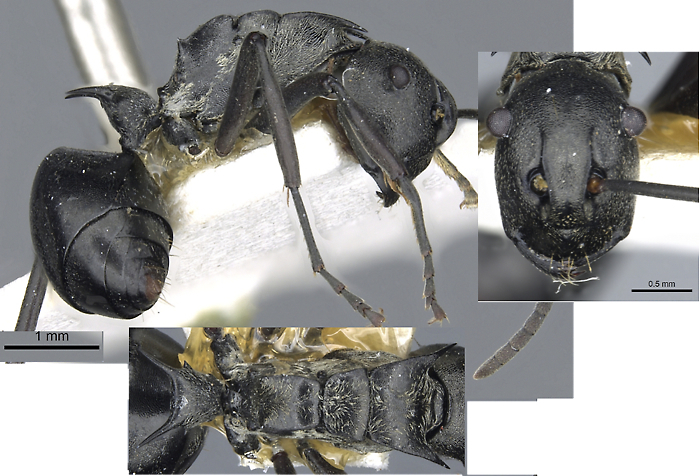 The record was published in Taylor (1978: 23), together with another 8 species - see Taylor ant guide list. 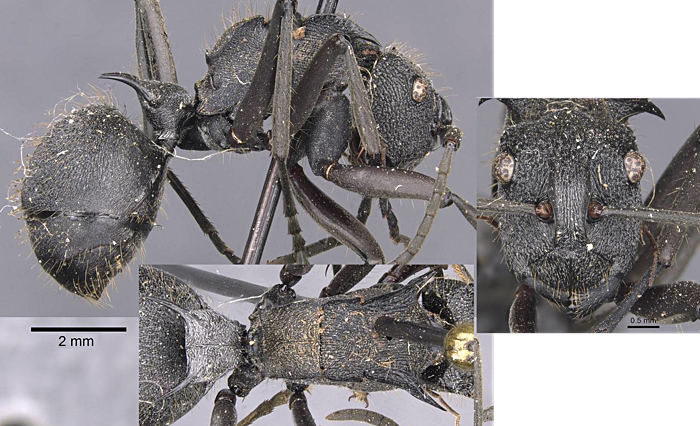 Ten new sub-Saharan species of the ant genus Polyrhachis are described: P. gibbula n. sp. and P. omissa n. sp. 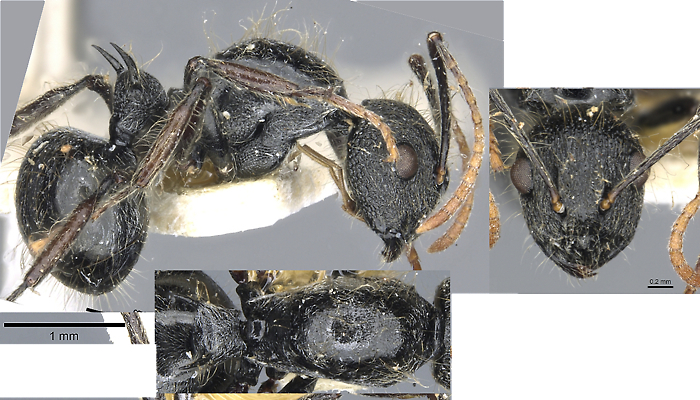 belonging in the viscosa-group; P. brevipilosa n. sp. 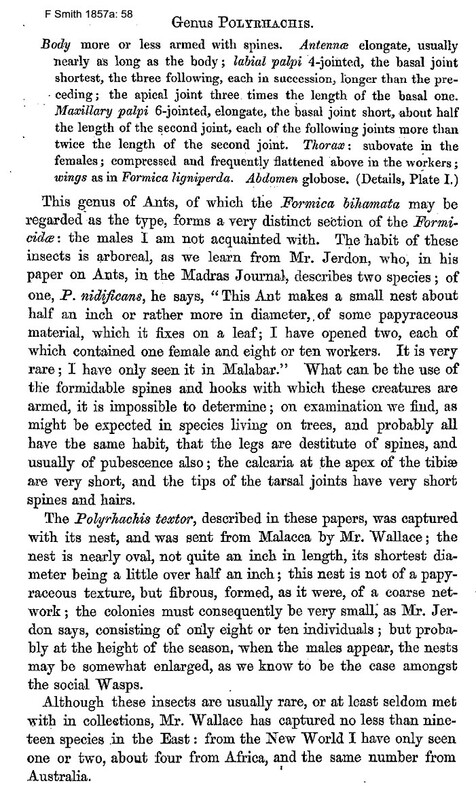 [not on Antweb], P. dubia n. sp. 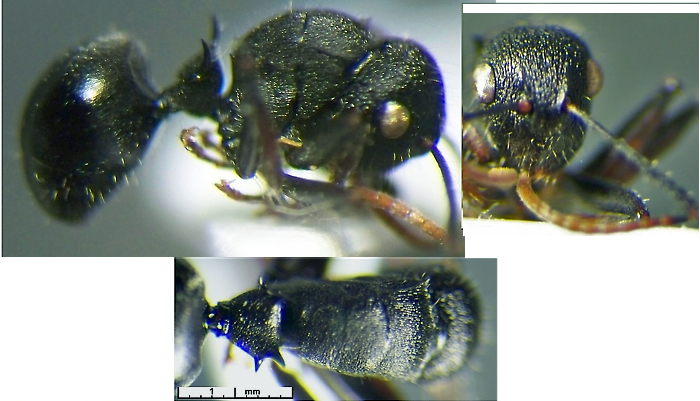 [not on Antweb], P. longiseta n. sp. 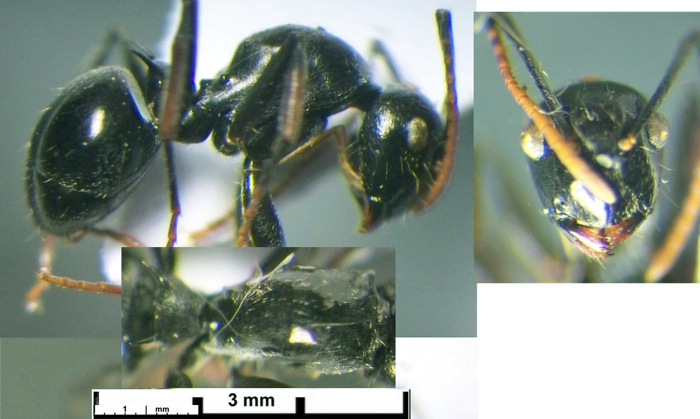 [not on Antweb], P. luteipes n. sp. 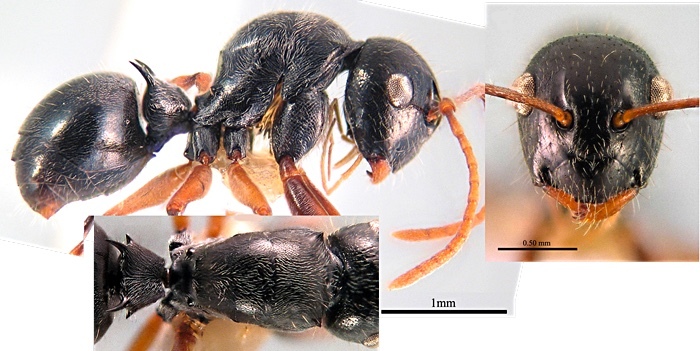 [not on Antweb], P. submarginata n. sp. 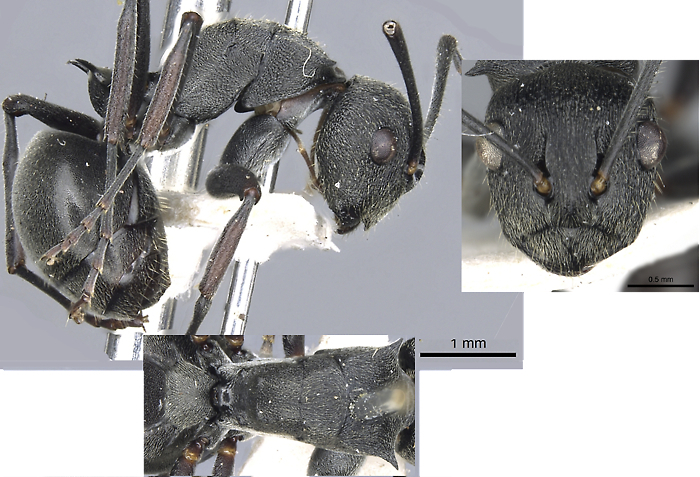 [CASENT0087089], and P. terminata n. sp. 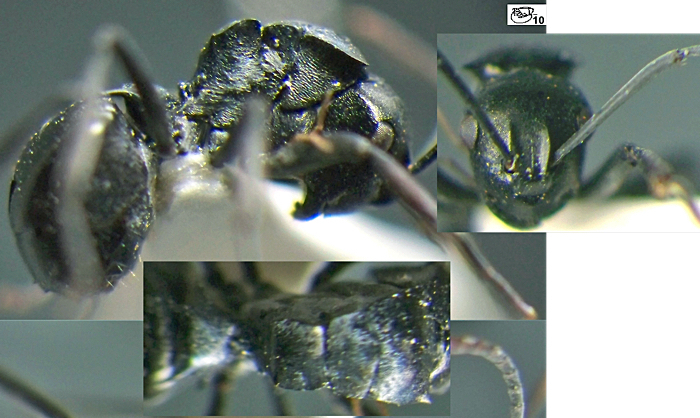 [not on Antweb] in the revoili-group; P. doudou n. sp. 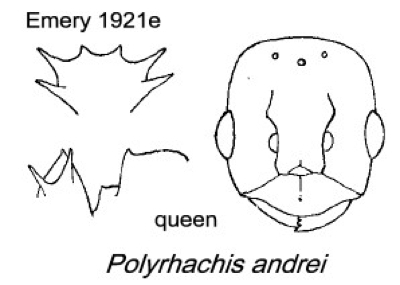 [CASENT0919958], and P. fisheri n. sp. [CASENT0919957] in the militaris-group. 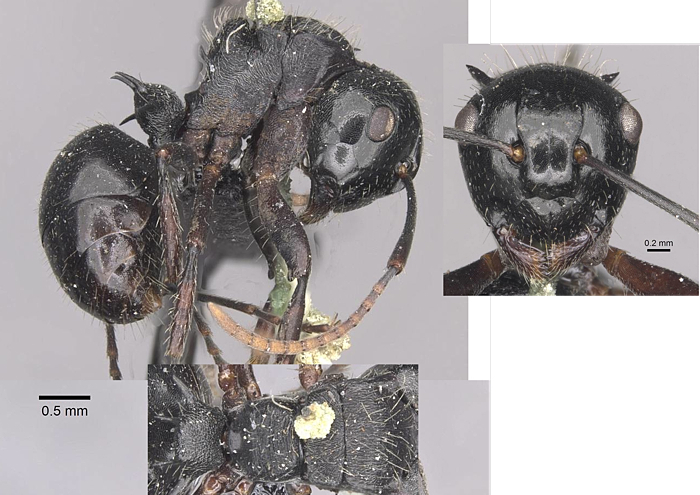 Also, P. epinotalis Santschi [CASENT0910908], and P. kohli Forel [CASENT0910954] are revived from synonymy with P. militaris (Fabr.) [no type survived] and P. volkarti Forel [type queen CASENT0910957], respectively. 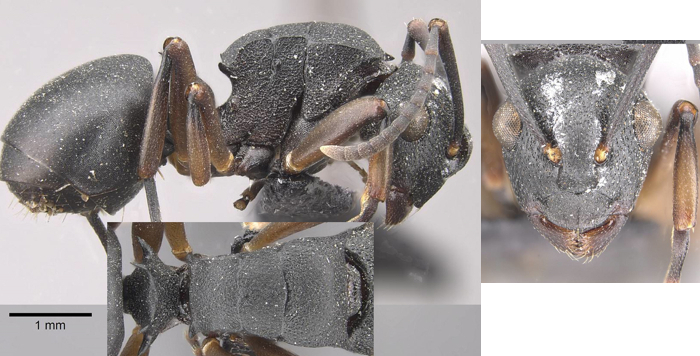 The type of P. cubaensis Mayr [CASENT0910945] is described, changing the interpretation of the taxon and revalidating two of its synonyms, P. gerstaeckeri Forel [CASENT0910945] and P. wilmsi Forel stat. n. FOCOL2584]. 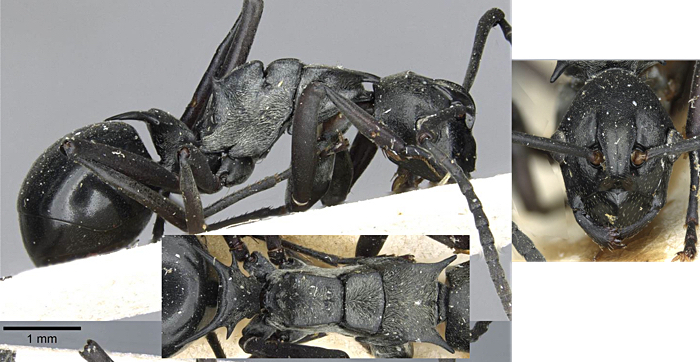 The examination of the type of Polyrhachis revoili André [CASENT0910956] has proved this taxon to be different from previous interpretations; its position is reviewed and all of its synonyms are transferred to P. weissi Santschi. 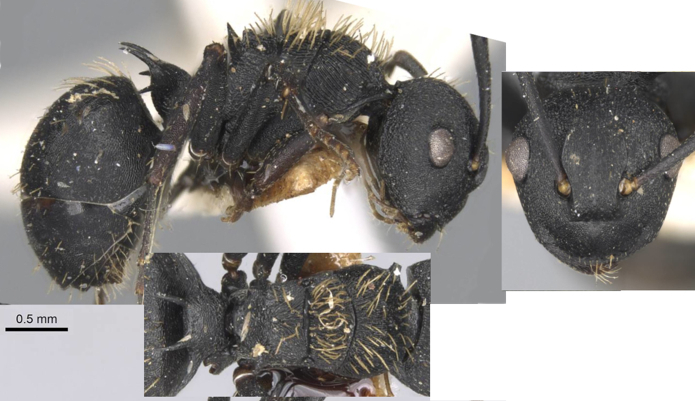 In addition, the first description of the worker of P. andrei Emery is provided [CASENT0250043, from DRC?, not associated with a queen], as well as some new records and taxonomic and morphological notes concerning other species. 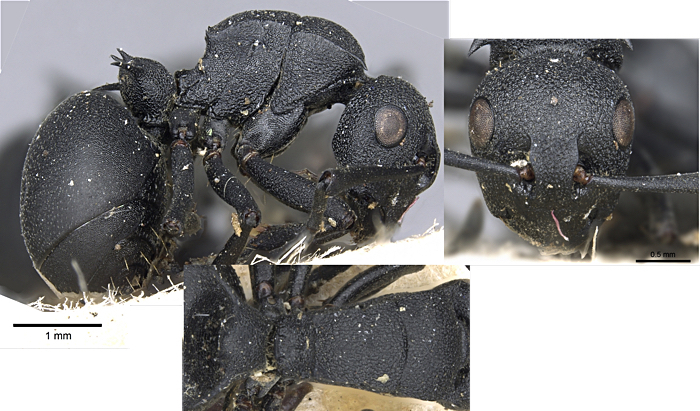 Polyrhachis lacteipennis F Smith; recorded from Egypt east to the Indian sub-continent and Myanmar can be seen on this link.
. Clypeus either arcuate and entire or with a truncated median lobe; eyes breaking the outline of the head, except when the eyes are flat; alitrunk without a foreshortened and swollen appearance; alitrunk usually either marginate or totally without lateral margination; if partially marginate then propodeum armed . Propodeum in dorsal view distinctly longer than wide. Longest standing hairs on tibiae about as long as the maximum tibial width (Rigato). 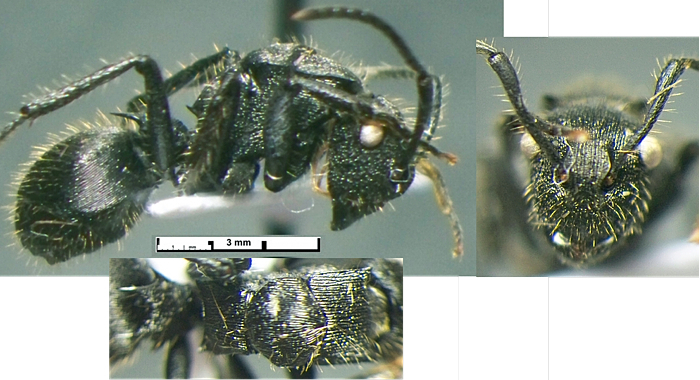 Propodeum in dorsal view slightly wider than long. Longest standing hairs on tibiae about as long as half the maximum tibial width (Rigato). Median portion of clypeus arcuate and entire without as a truncated rectangular lobe . Rigato - Head and dorsum of mesosoma irregularly sculptured, longitudinal rugulation at most ill-defined. 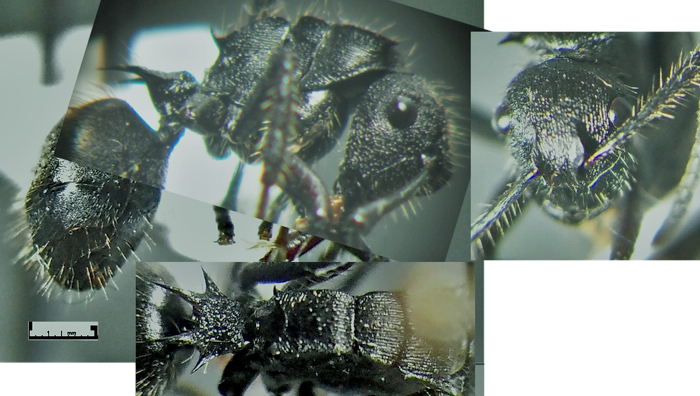 Head and mesosoma weakly, gaster distinctly, shining. Pubescence on the gaster relatively sparse and short: each element at most slightly longer than the distance separating adjacent ones. Propodeal ridges faint, pronotal teeth minute. Pronotal dorsum smooth and polished, armed with a pair of small-minute teeth or tubercles . -- Rigato: Clypeus ecarinate and with its anterior margin bearing a distinct protruding rectangular lobe, whose lateral corners are right-angled. Head about as smooth as the mesosoma. Dorsum of mesosoma with a distinct promesonotal and a weak metanotal suture. Standing hairs relatively short and never sinuate. HL 1.09, HW 0.90, CI 83, SL 1.30, SI 144, FW 0.34, FI 38, PW 0.68, WL 1.40, HTL 1.16. Pronotum marginate at least for part of its length, present as a raised or projecting flange, a ridge or an acute angle separating the dorsum from the sides . 18A Rigato - Propodeal dorsum and declivity separated by a continuous, well developed ridge. Size large, HL > 2.50. 19B Rigato - Pronotal margination weak. Scape relatively longer, SI > 160. 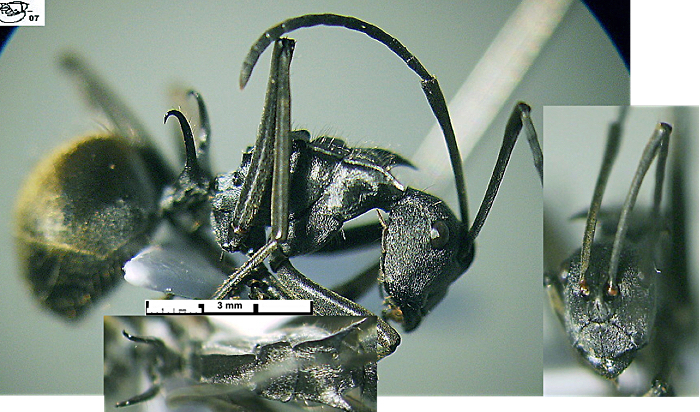 20 Rigato - Mid pair of petiolar spines at most 1.5 times as long as the spiniform lateral pair. Few erect hairs on scapes, hardly longer than maximum scape diameter. 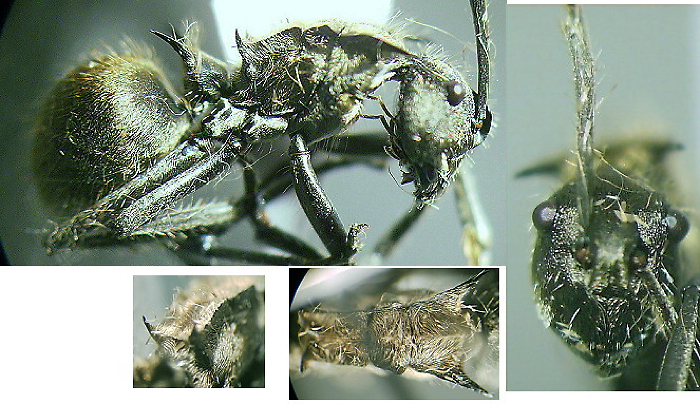 Tibiae and tarsi piceous.
. Antennal scapes without erect hairs . -- Rigato - Propodeal dorsum posteriorly bearing a median lobe and posterolaterally a pair of upturned small teeth. Dorsum of propodeum often separated from the declivity by a thin ridge. 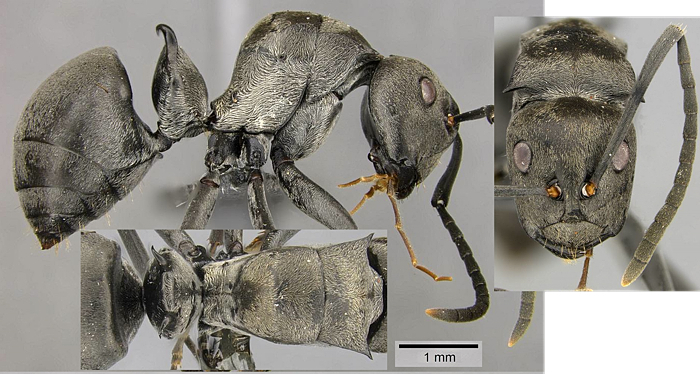 Holotype worker: HL 1.62, HW 1.49, CI 92, SL 1.80, SI 121, FW 0.41, FI 28 PW 1.33, WL 2.10, HTL 1.70. Rigato - Propodeum without a transverse raised ridge running between the spines or teeth and separating the dorsum from the declivity, the dorsum passing through an angle or curving directly into the declivity, median tooth or tubercle absent. 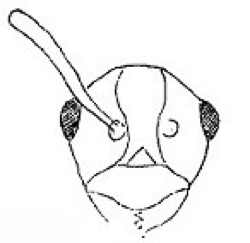 Rigato - Head in full face view trapezoidal, with distinct, rounded posterior corners. Head and mesosoma regularly longitudinally rugulose. 25A Rigato - Frons and vertex bearing some pairs of standing hairs. Rigato - Frons and vertex without standing hairs. Metanotal grove distinct, broad and always impressed .
. Petiole with more than two spines . Rigato: "Eyes placed behind the midlength of head sides. 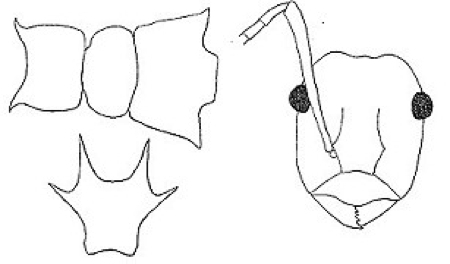 Petiole with a median pair of teeth and laterally with a pair of spines, each one bearing posteriorly a small tooth. The latter may even be reduced to a blunt tubercle." West Africa & Congo Basin (Uganda forest) - decemdentata. "Eyes placed slightly in front of midlength of head sides. Petiole with a median pair of teeth and laterally with two pairs of long spines of similar length placed one in front of the other"
. Pronotal dorsum with erect hairs . * Rigato (2016, in list) still has this under fissa.
. Lateral pair of petiole spines short, always shorter than the dorsal spines and may be reduced to a pair of short teeth .
. Propodeal dorsum running smoothly into declivity . Rigato (2016) Propodeal teeth spine-like, upturned and long, in profile often almost as long as the height of propodeal declivity . . . .
-- TL 11.2-11.4 mm; pronotum with elongate widely divergent spines; head with fine dense spiculation; pubescence dense and very coarse on the alitrunk. 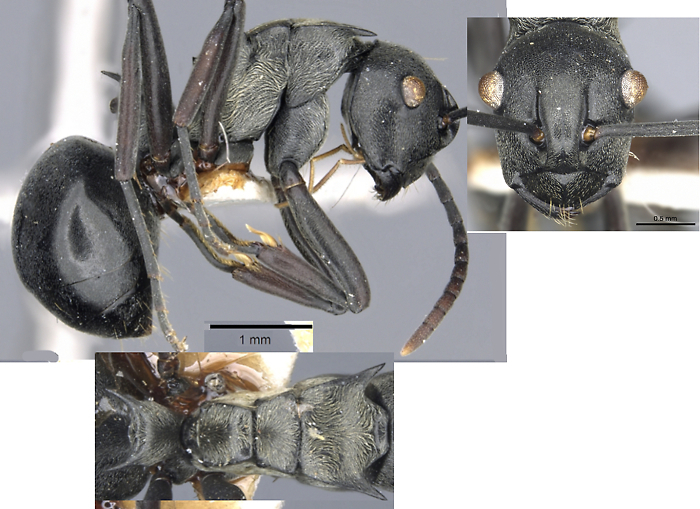 Description by me of "Polyrhachis ayousi". ?Rigato (2016: ) as epinotalis stat. n.
. Pubescence abundant everywhere . -- TL 14.4 mm; occiput almost straight across; striations on the face, alitrunk dorsum and gaster well defined, although very fine and dense on the gaster; scapes and legs with very fine sculpturation; scapes with nil or very few erect hairs. ; pubescence quite sparse on the alitrunk to almost nil on the gaster dorsum.